Peppa Pig Animated Cartoon is a free Windows 8 app that enables you to watch Peppa Pig videos online for free. The app contains all the videos of all the seasons of Peppa Pig for free. You must have an internet connection to watch Peppa Pig videos. Peppa Pig is a British Animated television series directed and produced by Astley Baker Davies especially for little kids. Peppa Pig is one of the most favorite animated series of little kids which has a total of 4 seasons and each season has over 50 episodes. Peppa and Pig is one of the best-animated series to teach your kids good and bad things. Download and install this Peppa Pig app and watch all videos of all the seasons of Peppa Pig for free. Your kids will love the app and get engaged with the app throughout the day. 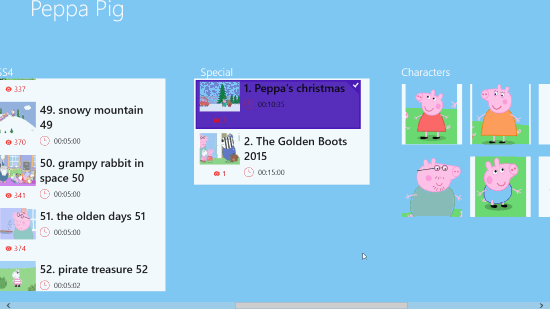 This Peppa Pig App for Windows 8 is very easy to install. A link is provided at the end of the article, just click on the link and you will be redirected to the download page of the app for installation. At the installation page, click on the install button and Windows will install the app on your system automatically. You can also download the Peppa Pig App directly from the Microsoft Store by searching it by its name. The app contains all the episodes of all the seasons of Peppa Pig Cartoon. Just click on the episode you want to watch online and the app will play that episode in front of you on your computer’s screen. Moreover, the app also shows you recently watched episodes. 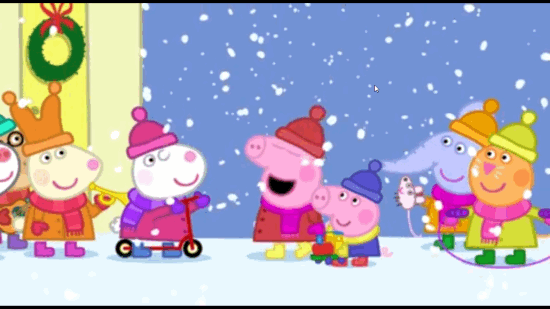 This free app to watch Peppa Pig Video online comes with more than 200 episodes and two special episodes – Peppa’s Christmas and The Golden Boots 2015. Each special episode of Peppa Pig in this app has a minimum duration of 10 minutes. If you scroll the app to the right, you will find the list of characters of Pepa Pig animated series. Click on any character, the app will give you an introduction to that character. Click anywhere on the video and the app will display the control buttons, clicking again will hide them. 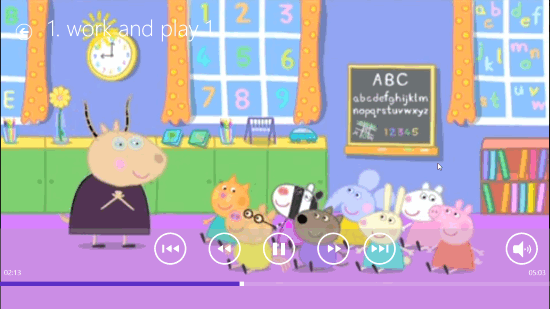 To watch Next/Previous video, just click on the Next/Previous button, you can Play/Pause any video simply by clicking on the Play/Pause button, Forward/Rewind buttons are also available in the Peppa Pig app. Moreover, a volume button is also provided in the app, clicking on which you can mute the video anytime while clicking again on volume button puts the sound back again. The app displays the name of the episode that you plays at the top of the screen. 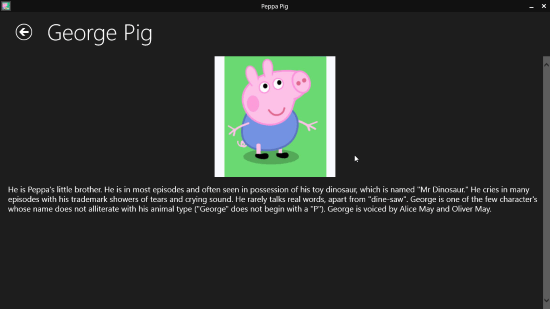 Peppa Pig App to watch Peppa Pig videos online is a lightweight application for Windows 8, designed especially for kids. The app contains over 200 episodes of Peppa Pig. Now, no need to purchase CDs and DVDs of Peppa Pig Series, just download and install this application on your PC and watch all Peppa Pig videos online for free. Download Peppa Pig App for Windows 8.